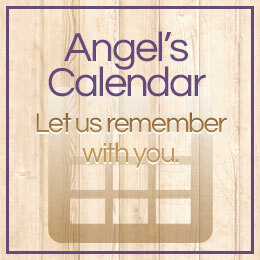 Our Angels Calendar allows us to keep track of dates when the precious little ones within the Tiny Angel Wings community sadly grew their wings too soon. 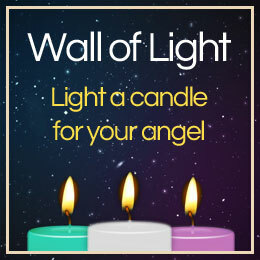 This ensures that all angels are remembered on their special day, and included in our remembrance gestures such as memorial videos and regular balloon releases. Adding your angel to our Angel’s Calendar couldn’t be easier. Simply complete this simple form telling us your angel’s name and date of passing, and we’ll have them added as soon as we can for you. Please tick the box below to confirm you're not a spam-bot. Please take a moment to follow our Social Media channels. Nobody should suffer child loss alone. If you need a listening ear or someone to talk to, please join us and more than 3,500 others on Facebook, or send us a message using this form and we will get back to you. Please tick below to confirm you're not a bot. Tiny Angel Wings is an online community, established on April 24th 2011 with the intention of bringing together people who have suffered the tragedy of child loss. We are not a charity – just a young couple trying to bring comfort to those who have experienced a similar loss to our own. Copyright © 2015 Tiny Angel Wings. All rights reserved.